Organizations can no longer speak at customers, they must engage in conversation with them. With so many avenues for feedback ranging from traditional call center interactions and surveys, to social media, online product reviews and blog posts, customers are talking about what’s on their mind 24/7. The increase in volume and variety of topics have thwarted traditional efforts of tracking feedback trends over time. Advances in artificial intelligence have allowed companies to mine topics and themes from large, unstructured text data. However, these solutions remain out of reach for many due to the specialization required. These automated techniques are also difficult to align with the way customer service teams view feedback. 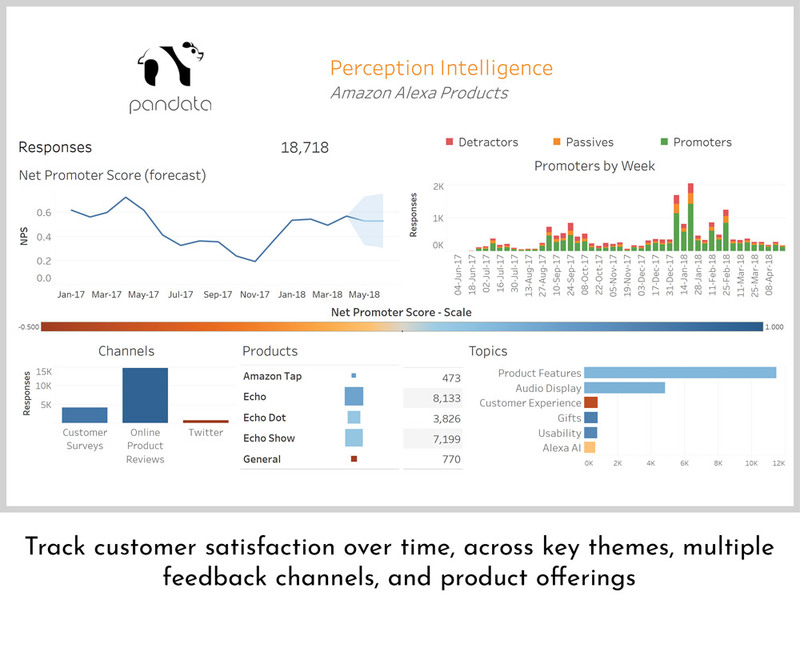 Pandata’s Perception Intelligence makes the advances in artificial intelligence accessible, while also leveraging human expertise to make sure topics align to core customer service goals. Our solution pulls raw customer feedback data from virtually any source and language, then passes it through our engine to detect core themes. We work with our client’s customer service teams to fine-tune the resulting model based on human experience and company goals. The end result is an interactive dashboard that allows you to drill into concern areas, over time, as they relate to key services or products. 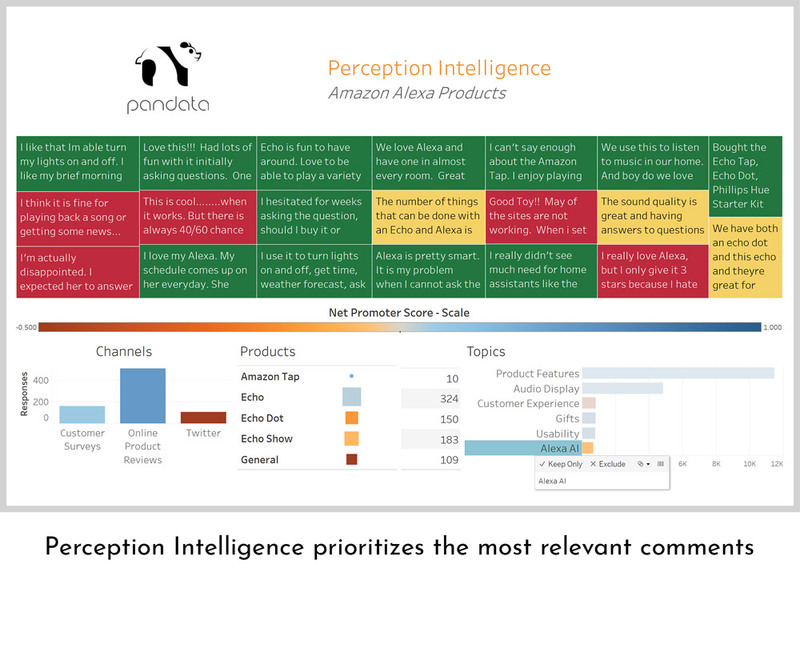 What Makes Perception Intelligence Different? 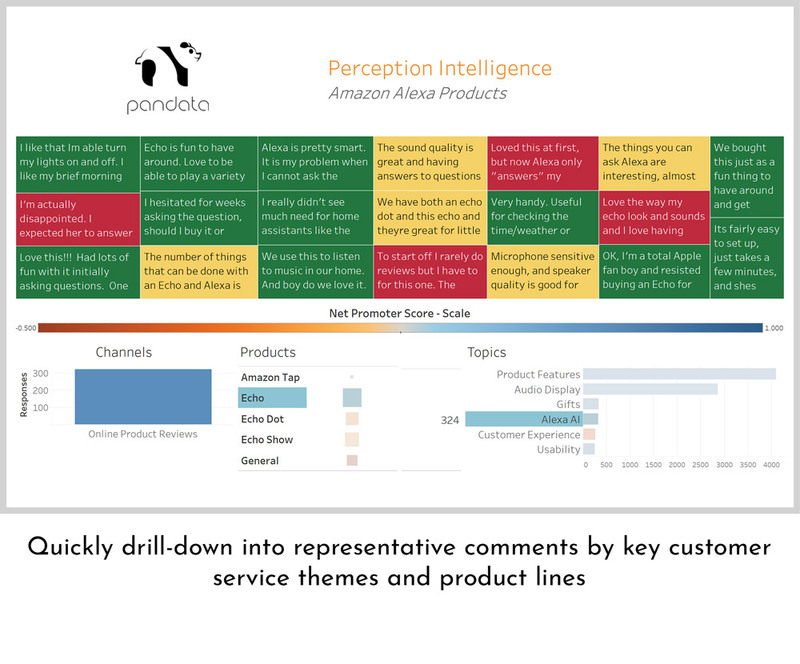 Sifts through thousands of comments to find the most representative comments under each topic area, providing concrete examples for actionable feedback from actual customers. 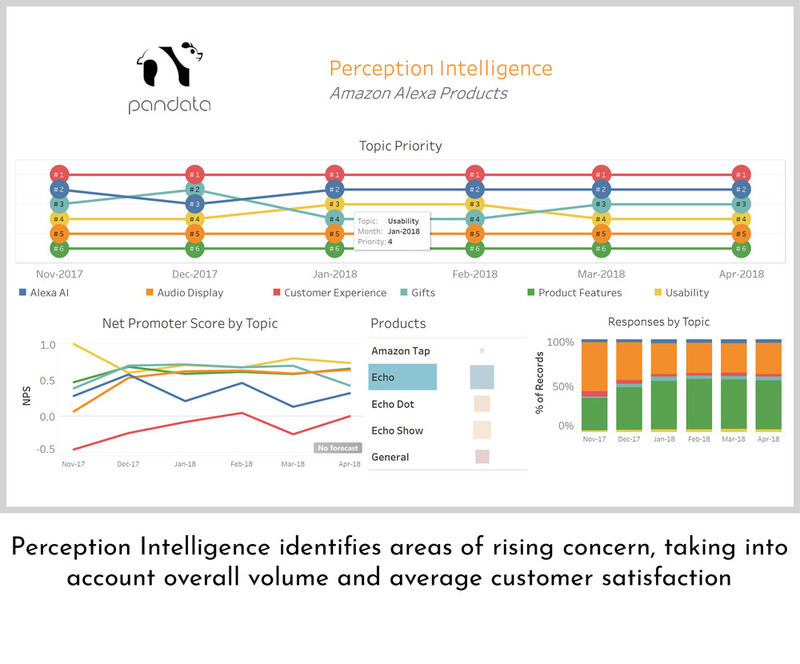 Set up a complimentary discovery session to learn how Perception Intelligence can harness the power of customer feedback, and manage your reputation, for the wellness of your organization.